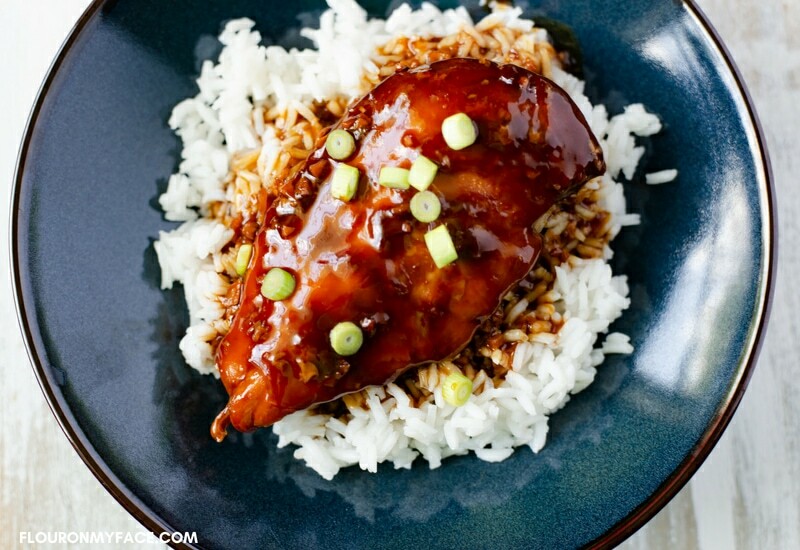 Crock Pot Honey Garlic Chicken Breasts is sweet and sticky because it is made with hoisin sauce. 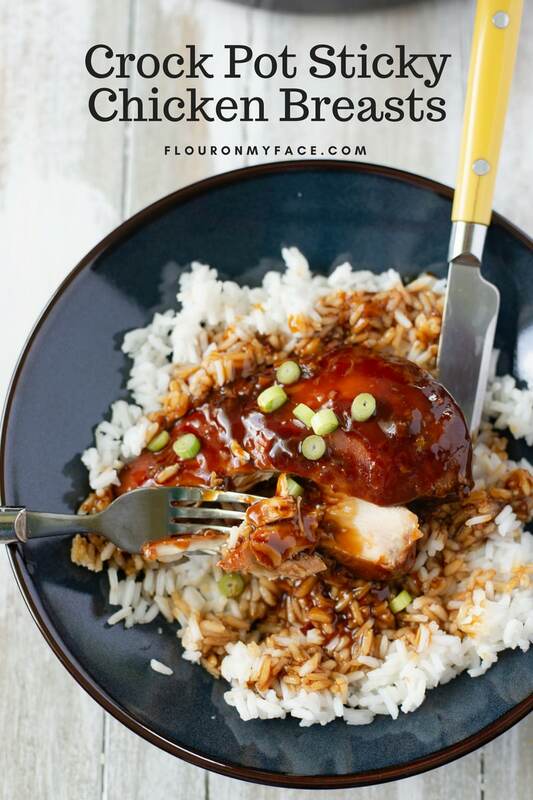 If you love sticky chicken than this is going to be your newest favorite crock pot recipe when you see how easy it is to make! 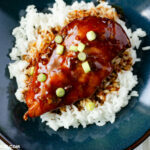 Crock Pot Honey Garlic Chicken Breasts are sweet and sticky thanks to the Hoisin sauce in the recipe. I love the flavor of Hoisin sauce. The first time I ever tasted it was when I ate Moo Shu Chicken for the first time. 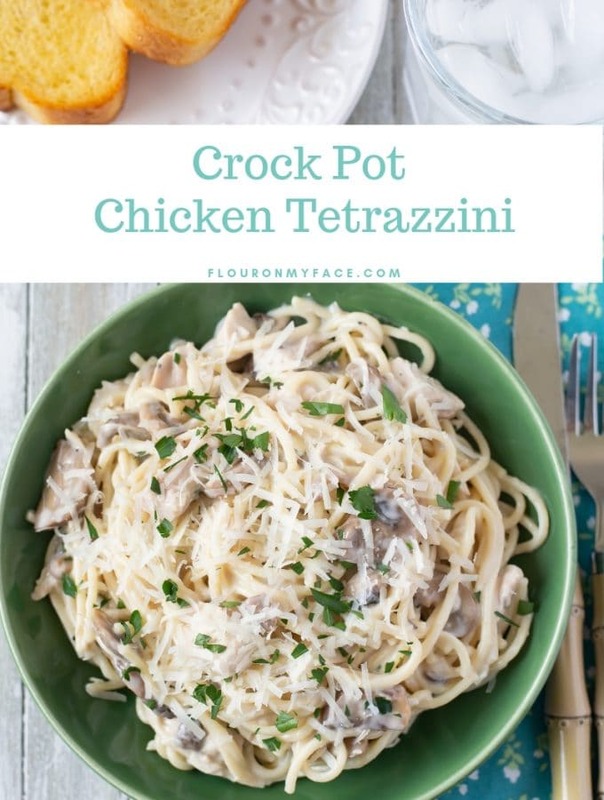 Crock pot chicken recipes are easy to make and you have the option of serving most of them two ways. You can serve the pieces of boneless chicken breasts whole like I have for this Crock Pot Honey Garlic Chicken Breasts. 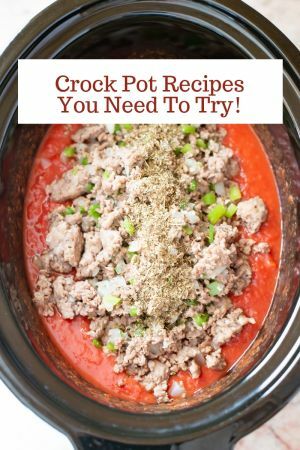 Or you can stretch this crock pot recipe further by shredding the chicken meat before serving it over a bed of white rice. 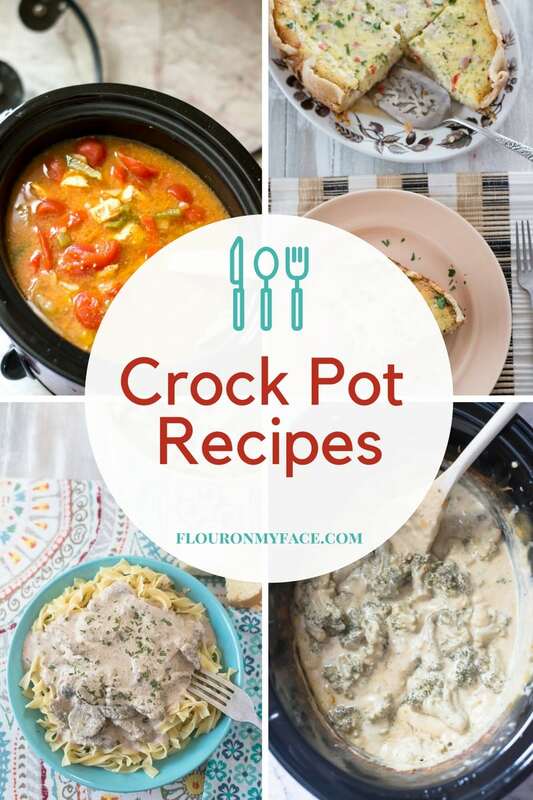 Crock pot chicken recipes are great for those busy dinner nights. 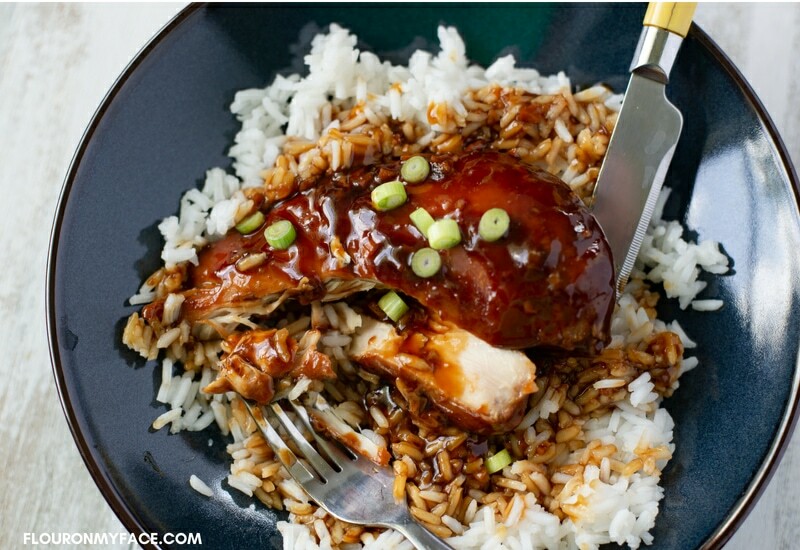 This Crock Pot Honey Garlic Chicken Breasts recipe is also a great Chicken Freezer Meal. Do you hate making long grain white rice because it never cooks right? Does your white rice always turn out mushy or not cooked? Check out my Crock Pot Stuffed Bells Peppers recipe where I share my foolproof way to cook perfect rice every time. 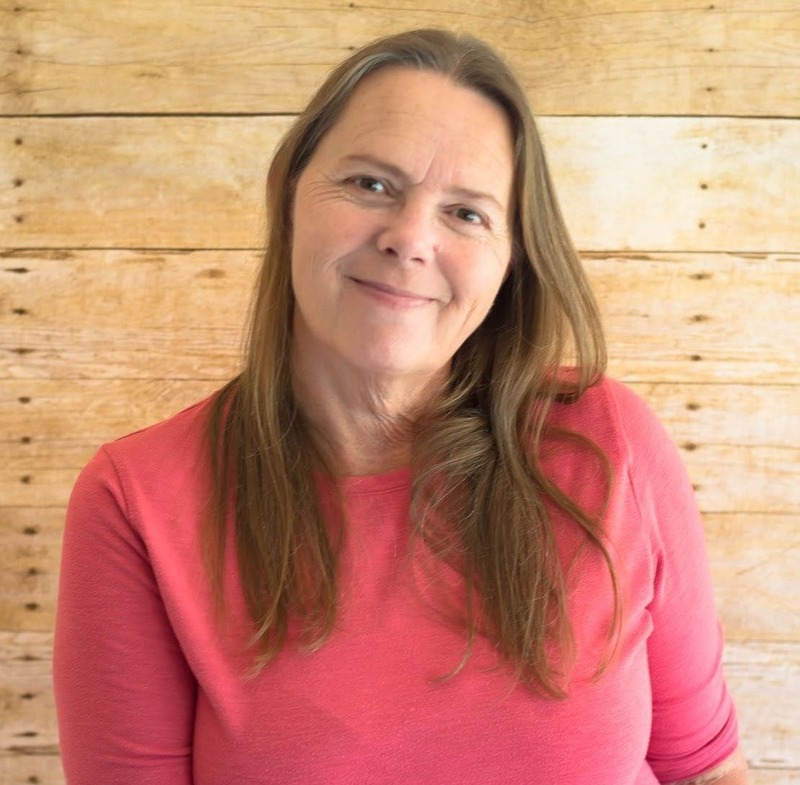 Flour On My Face is an Amazon Influencer and all product links are affiliate links. Place the boneless chicken breasts into a 6 or 7-quart crock pot in a single layer. In a small mixing bowl measure the honey, Soy sauce, Hoisin sauce, Rice wine vinegar, Sesame oil. Peel the fresh garlic and mince finely. 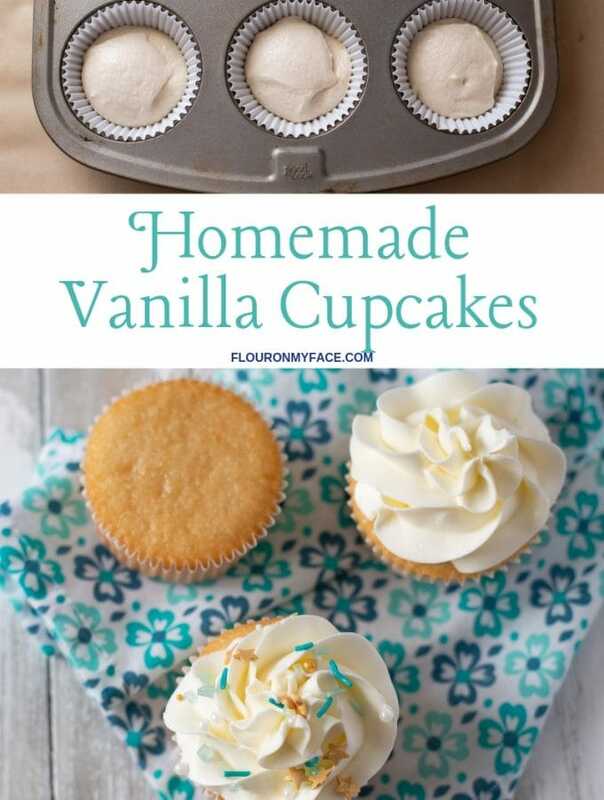 Add to the mixing bowl. Peel and finely mince the fresh garlic and add to the mixing bowl. Slice the root ends off the green onion and rinse under cold water. Slice the white ends of the green onion and add to the bowl. Save the green parts for garnishing. Using a metal whisk mix all of the ingredients in the small mixing bowl until combined well. Pour over the chicken. Cook on high for 3 to 4 hours or low for 5 to 6 hours. Cooking times will vary depending on the sizes of the chicken breasts you have used. Once cooked serve over a bed of white rice. Save the knobby pieces of fresh ginger peel and plant in a pot of potting soil along with any leftover store-bought pieces of ginger root you may have. Ginger will grow in a warm climate as long as you keep it damp and protected from the cold. See my step by step instructions on how to cook perfect white rice in this post. Cook the rice during the last half hour of cooking time. Can serve a full half breast or shred the cooked chicken pieces before serving. 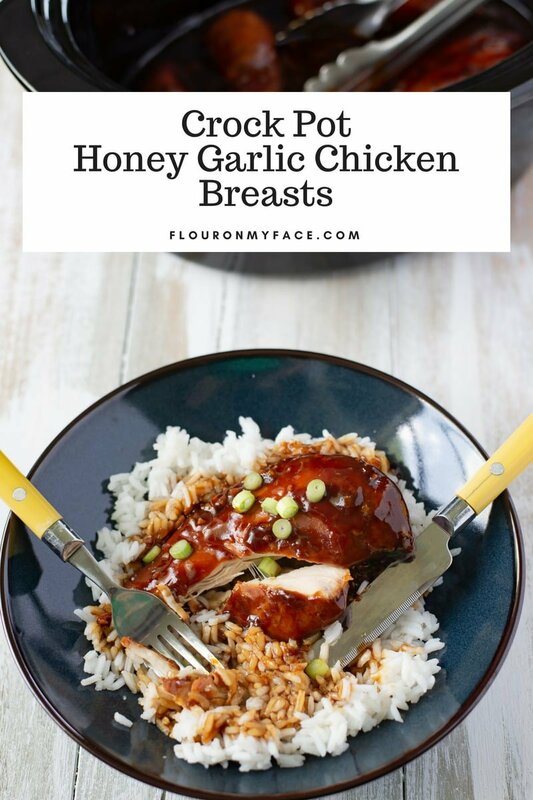 Print the Crock Pot Honey Garlic Chicken Breasts recipe below. 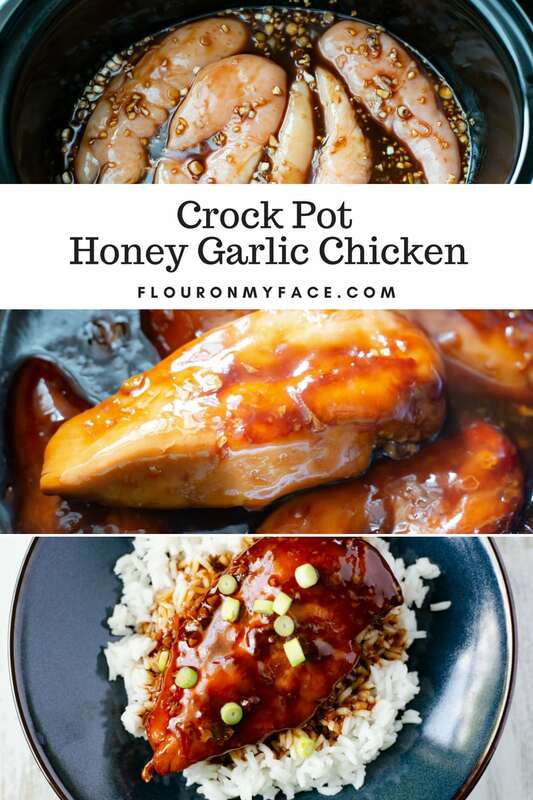 Crock Pot Honey Garlic Chicken recipe is my favorite way to make sticky chicken that is easy to make and a great weeknight dinner recipe. 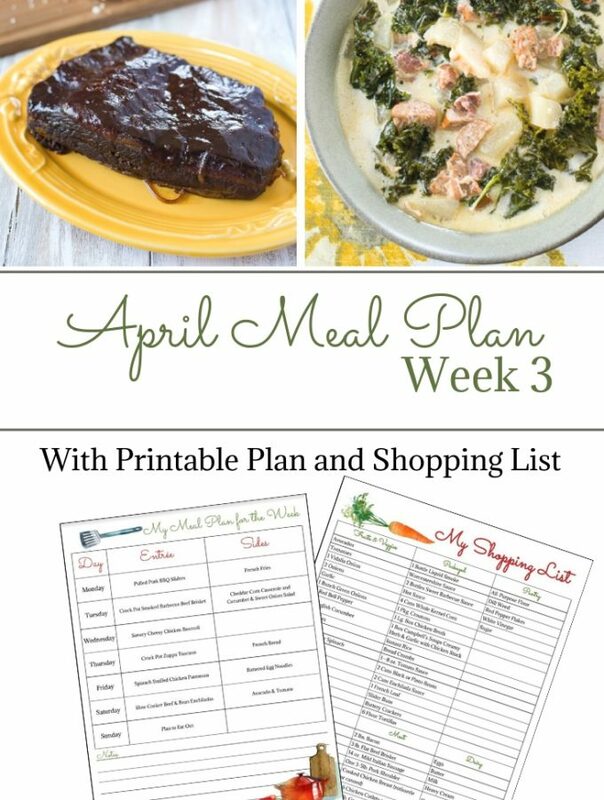 Want a few more Chicken Crock Pot recipes to add to your meal planning? 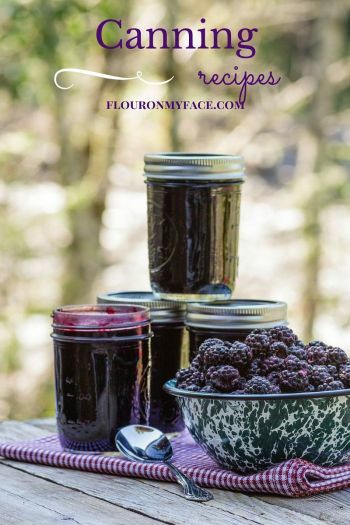 Check out the Flour On My Face Crock Pot recipe page and check out the 46 Crock Pot Chicken recipes or some of the other 215 crock pot recipes I have shared.